Norm 12 is available in two sizes, which are finished in a pure and simple white, and fits in well with most homes and tastes in styles. 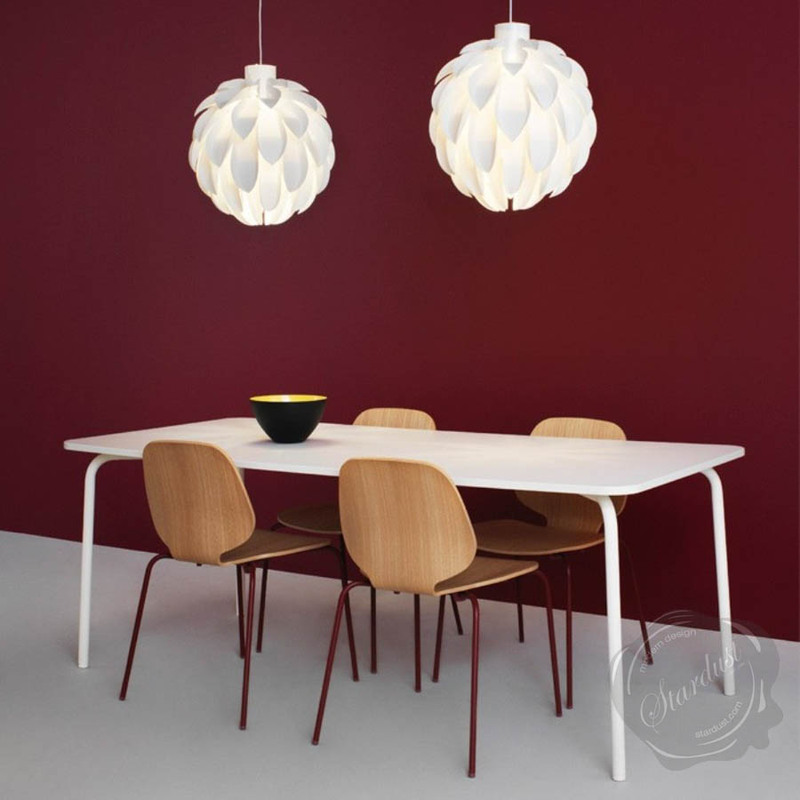 The large version of Norm 12 is perfect for hallways or in the bedroom while the small lamp emits a comfortable light for above the dining room table. 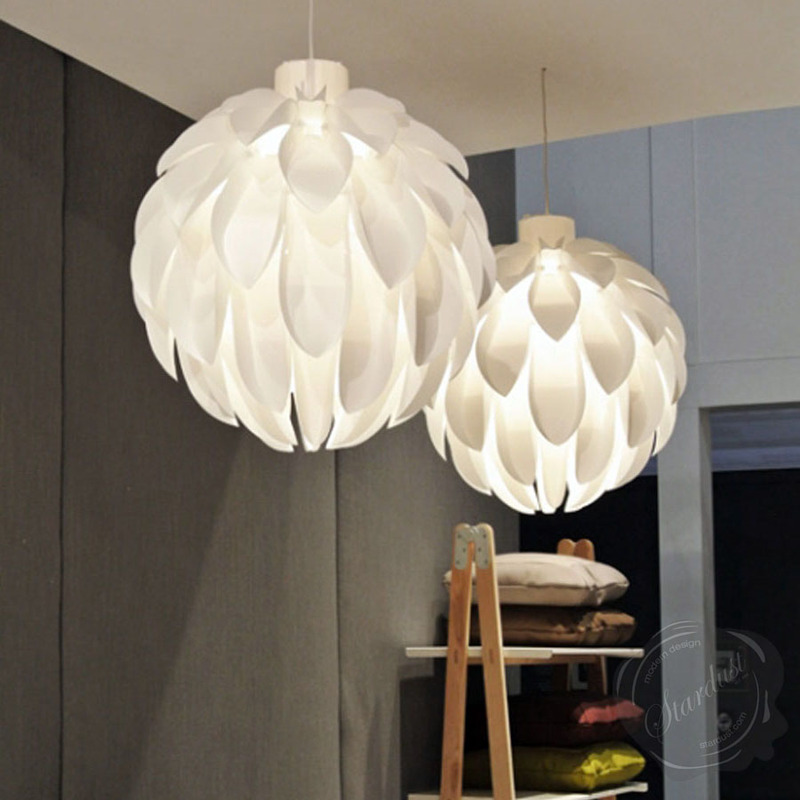 The Norm 12 DIY lamp comes flat-packaged and it takes about 15-30 minutes to assemble. 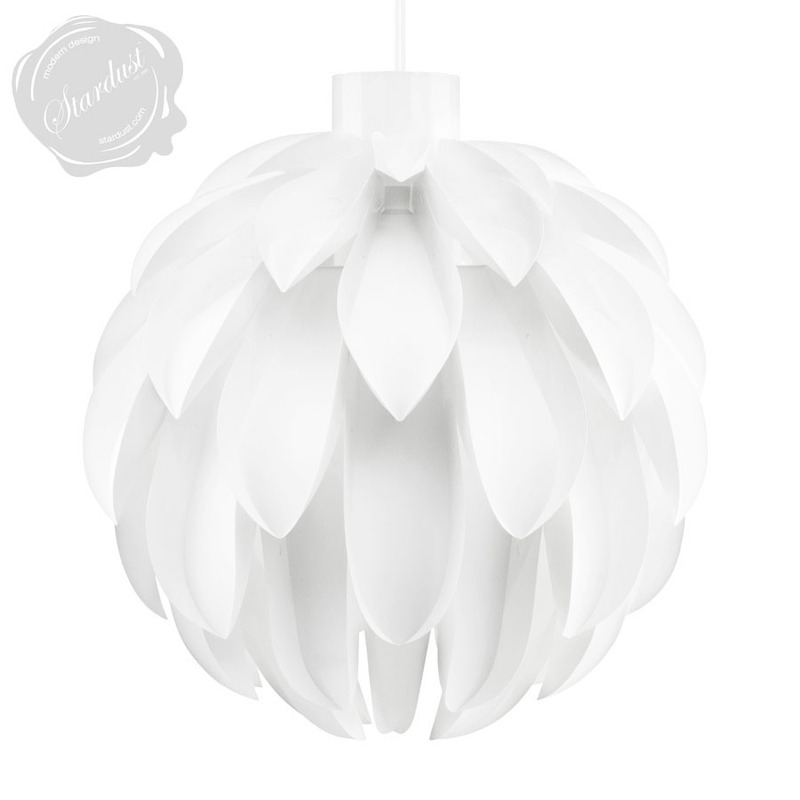 A 8' white hard-wired electrical cord with E26 lamp socket is included. Takes standard light bulbs (light bulb not included). 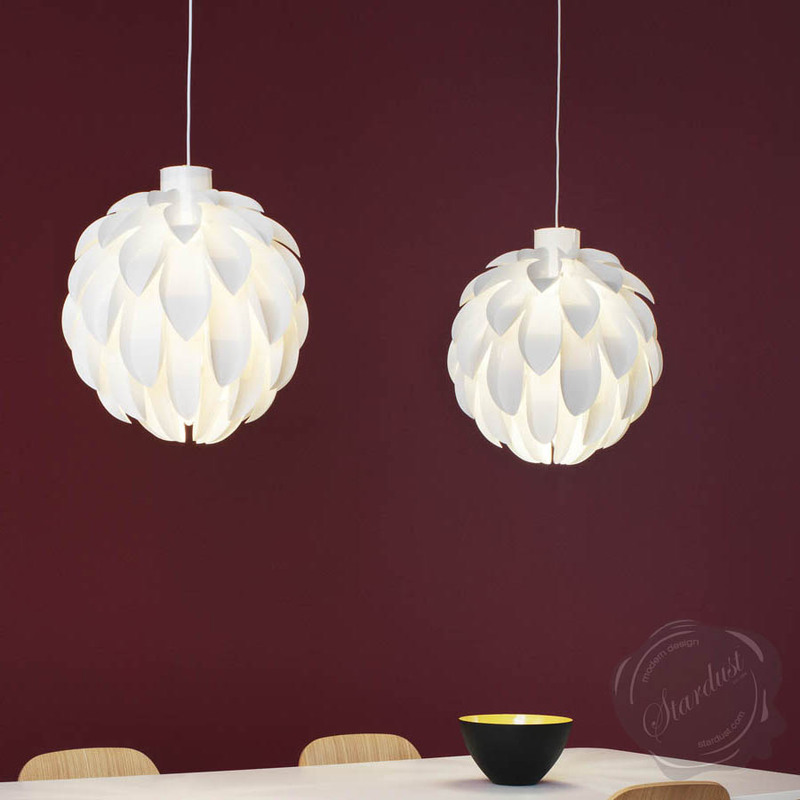 Norm12 from Normann Copenhagen is a self assembling lamp with a round look and feel. 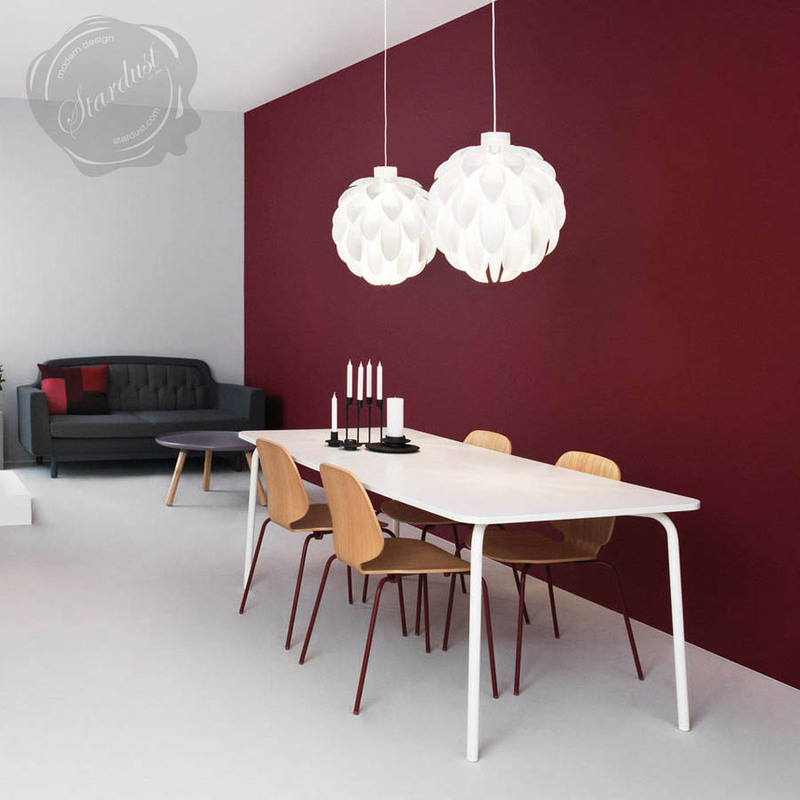 The Norm 12 spreads a mild and diffused light, which is dispersed through the lamp´s rounded silhouette. 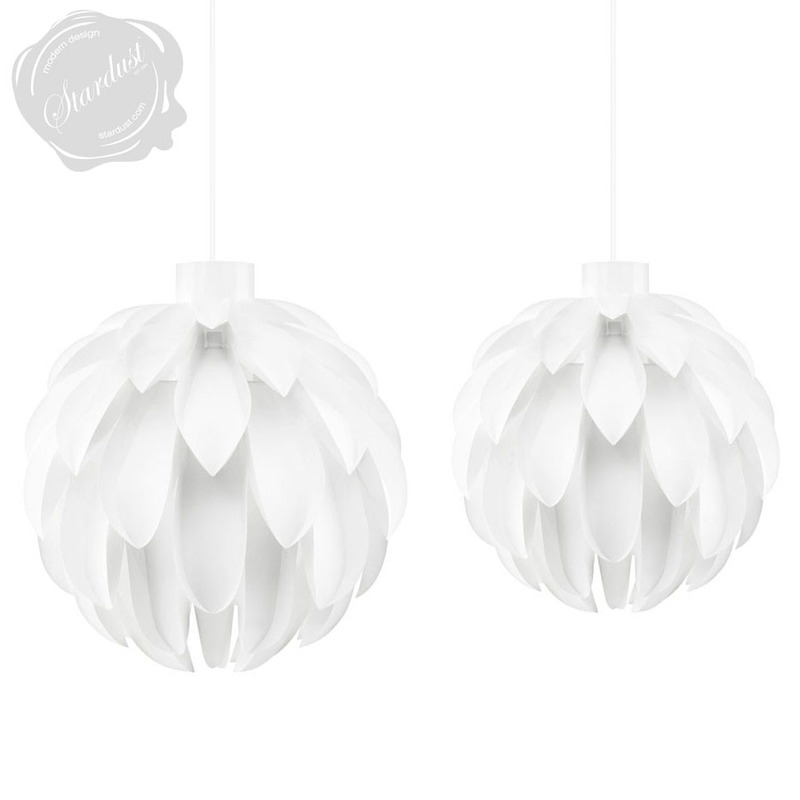 The Norm 12 from Normann Copenhagen is available in two sizes and fits in well with most homes and tastes in styles. 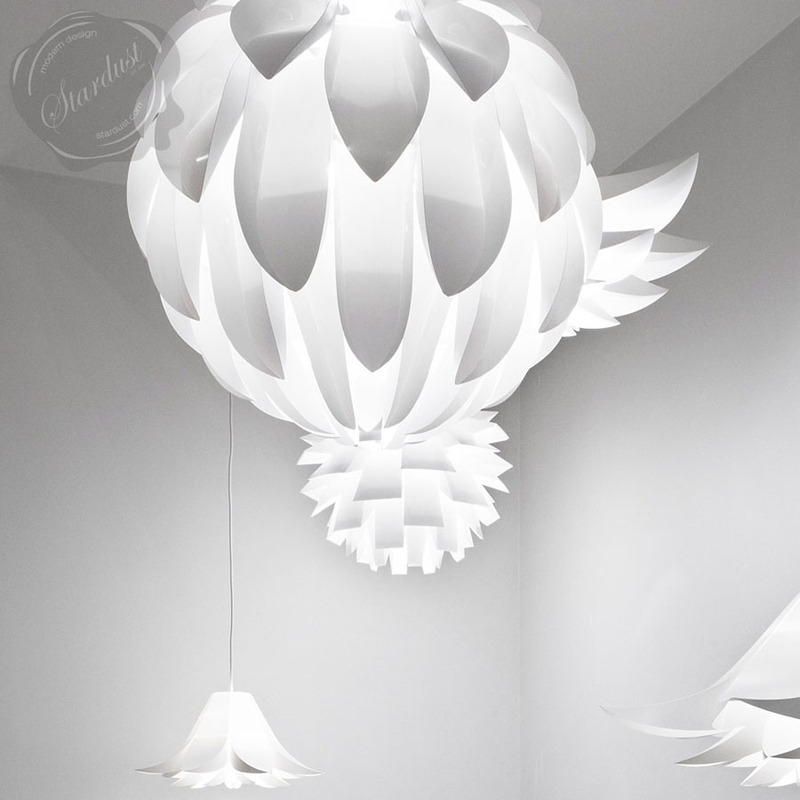 The Xtra large version is perfect for hallways or in the bedroom while the large lamp emits a comfortable light for the dining room.